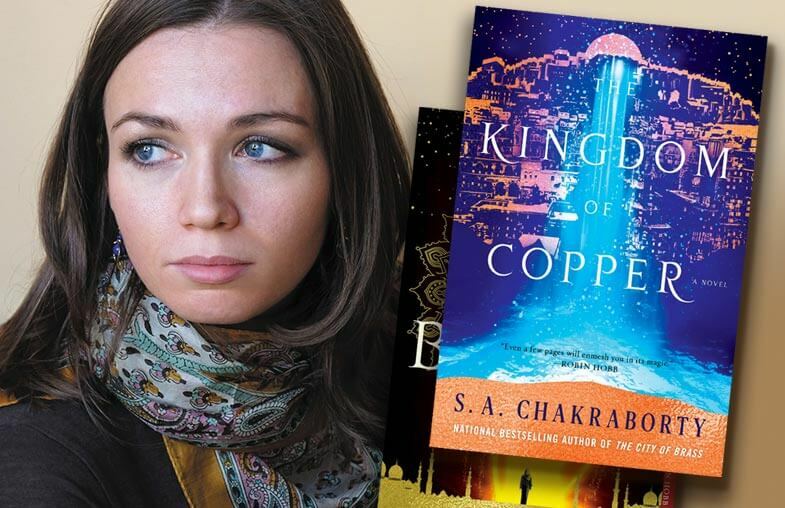 S. A. Chakraborty (Shannon) is a New York-based speculative fiction writer and history buff. Her debut, The City of Brass, was short-listed for the Locus, British Fantasy, and World Fantasy Awards. 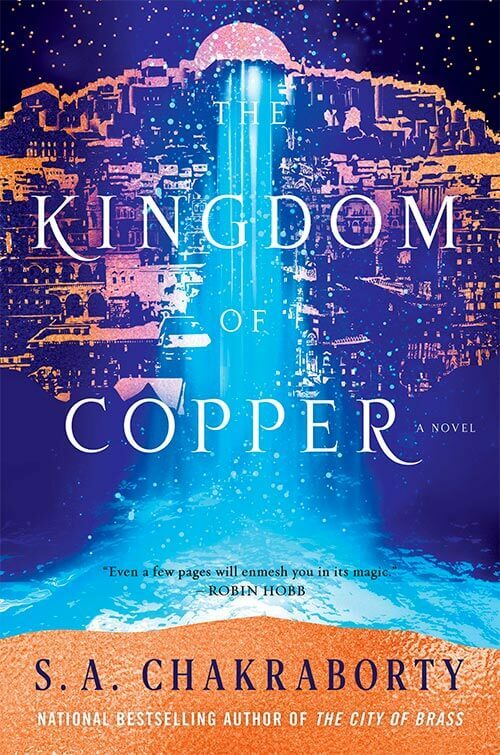 Its sequel, The Kingdom of Copper, arrives January 22nd, 2019, from Harper Voyager. They are the first two books in The Daevabad Trilogy, an epic fantasy set in the 18th century Middle East. Shannon is an organizer with the Brooklyn Speculative Fiction Writers’ Group. Originally (and proudly!) from New Jersey, she currently resides in Queens with her husband and daughter. When not buried in books about Mughal miniatures and Abbasid political intrigue, she enjoys hiking, knitting, and recreating unnecessarily complicated, medieval meals for her family. 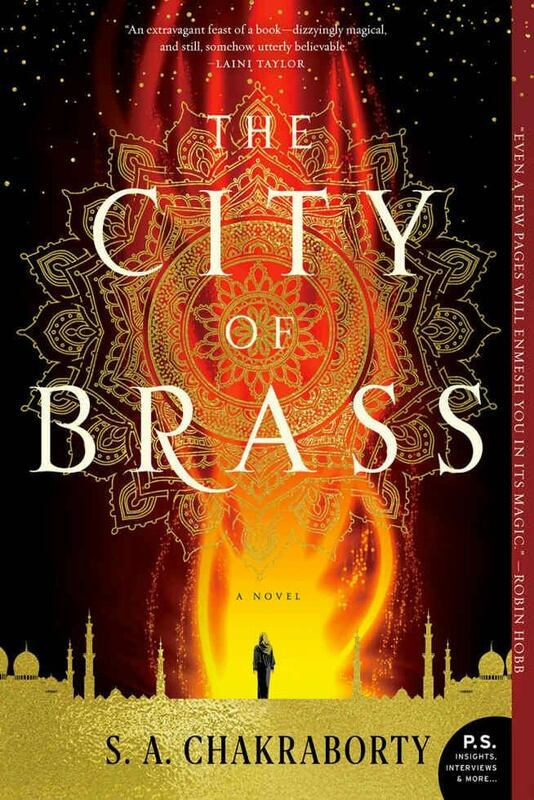 S. A. Chakraborty continues the sweeping adventure begun in The City of Brass, conjuring a world where djinn summon flames with the snap of a finger and waters run deep with old magic; where blood can be dangerous as any spell, and a clever con artist from Cairo will alter the fate of a kingdom. And as a new century approaches and the djinn gather within Daevabad's towering brass walls for celebrations, a threat brews unseen in the desolate north. It’s a force that would bring a storm of fire straight to the city’s gates... and one that seeks the aid of a warrior trapped between worlds, torn between a violent duty he can never escape and a peace he fears he will never deserve. The Kingdom of Copper will be released January 22nd, 2019 from Harper Voyager. Available at Amazon, Barnes and Noble, Books-a-Million, or wherever books are sold.